Group of four inter-state poachers from North-East region reportedly sneaked into Similipal a few days back for poaching tuskers. 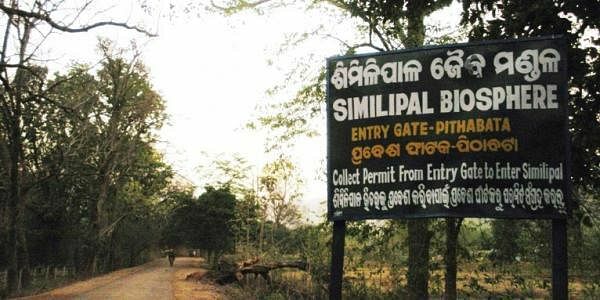 Already shocked over frequent elephant killings in Similipal and Kuldiha reserve forests, the forest authorities here are in for some more trouble. If sources are to be believed, a group of interstate poachers’ gang from North East region has arrived in Similipal for poaching of wild tuskers. Reliable sources said a group of four poachers had sneaked into the biosphere a few of days back and were active chalking out strategies to kill the pachyderms through their traditional method of poaching. Locals have spotted them and they are suspected to be from either Manipur or Arunachal Pradesh. Forest officials are worried over the information as these poachers, belong to Lisu tribe of NE are known for using very deadly poison prepared out of roots and herbs of jungle plants, to kill the elephants. They use the poison in the arrow, which is fired through guns and the elephants fall flat without even screaming once the poison-tipped arrow hits them. The poachers then cut the tusks and fled the scene. Regional Chief Conservator of Forests (RCCF) Anup Kumar Nayak admitted to having received information on the presence of the poachers from the North East. “Following the information we have sounded an alert in Similipal and Kuldiha reserve forests. Teams also have been engaged to track their movements and activities,” he said. Meanwhile, the forest authorities have announced cash awards of Rs 20,000 to anyone providing information on the poaching gang. Patrolling too has been intensified and information network strengthened in all divisions including Balasore, Karanjia, Rairangpur, Baripada and core areas of Similipal Tiger Reserve (STR). Earlier, two lisu tribals from Manipur were arrested along with two local tribals and a police constable in connection with mass killing of elephants in Similipal. They were nabbed from the house of the constable on December 24, 1994. One gun, live bullets, arrows, 100 gms of poison and 14.6 kgs of ivories were also seized from their possessions. While three lisu tribals had managed to flee that time, prior to it a similar gang was busted in Bhawanipatna for allegedly killing tuskers. Honourary wildlife warden Vanoo Mitra Acharya said Similipal, Kuldiha and Satkosia wildlife sanctuaries were their prime focus area. "After the 1994 breakthrough we used to get information about the gang once they arrived here. But this time we got the message a bit late. Still we are working on this and hope to get a lead soon," he said. Acharya said the poachers behave innocently and try to have links with influential persons in the area they operate. They motivate the local tribals and form teams before initiating their operations. Balasore DFO Kedar Swain said internal intelligence network has been fortified and forest personnel engaged at the vulnarable points to keep a tab on the suspected NE poachers. Sources said at least 45 elephants were killed in the region in the last three years putting the forest officials in a fix.